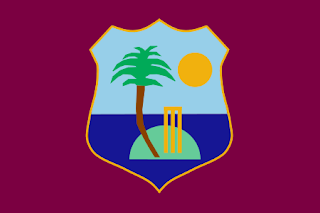 Adrian Barath has replaced fellow opener Kieran Powell in West Indies' 13-member squad for the last 2 ODIs against Australia in St.
Barath has overcome his recent spell of injuries and give firm proof of his fitness with a 100 for his native Trinidad & Tobago against Guyana, the West Indies Cricket board said in a release. Barath batted for more than 3 hours in making 114 in T&T's 1st innings. The final of his 12 ODIs for West Indies was against India in December 2011. Powell has been left out past making runs 8, 0 and 12 in the 1st 3 ODIs of the 5-match series, which is locked currently at 1-1. Labels: Adrian-Barath, KOA Powell, West Indies, WICB.